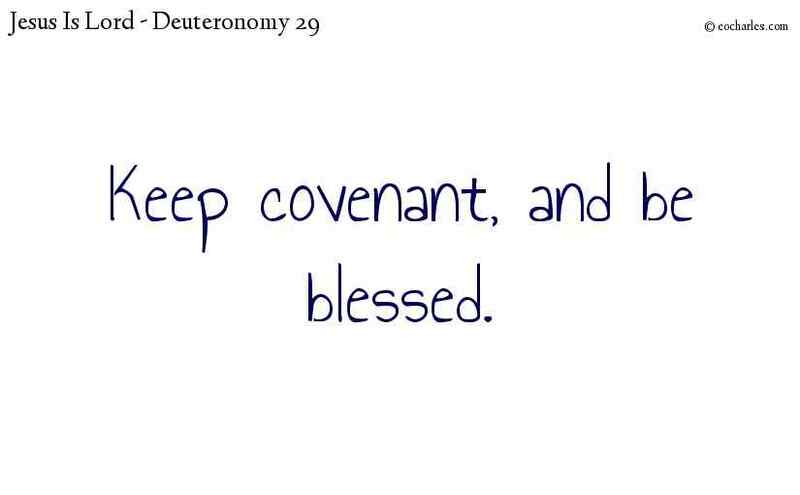 Keep every agreement with the Lord. These are the words of the agreement which Moses was ordered by the Lord to make with the children of Israel in the land of Moab, in addition to the agreement which he made with them in Horeb. 1)Act 3:25 You are the sons of the prophets, and of the agreement which God made with your fathers, saying to Abraham, Through your seed a blessing will come on all the families of the earth. Continue reading Keep every agreement with the Lord. 1. ↑ Act 3:25 You are the sons of the prophets, and of the agreement which God made with your fathers, saying to Abraham, Through your seed a blessing will come on all the families of the earth.